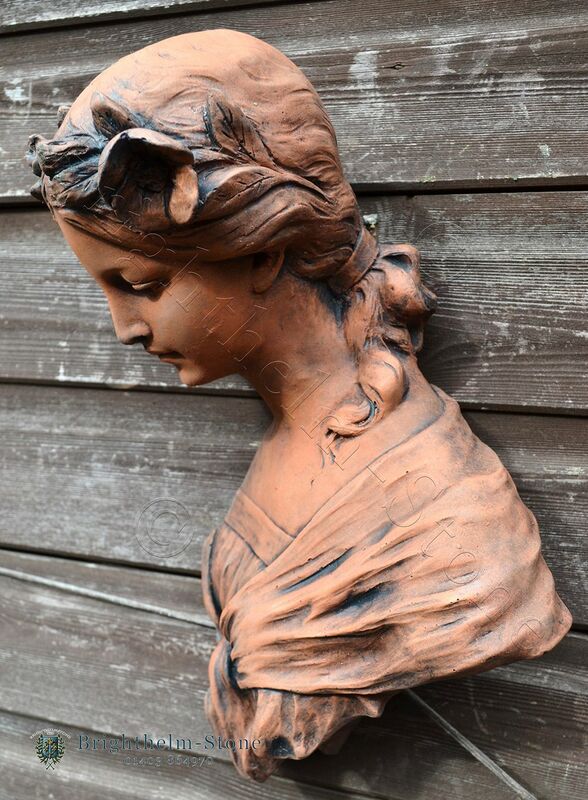 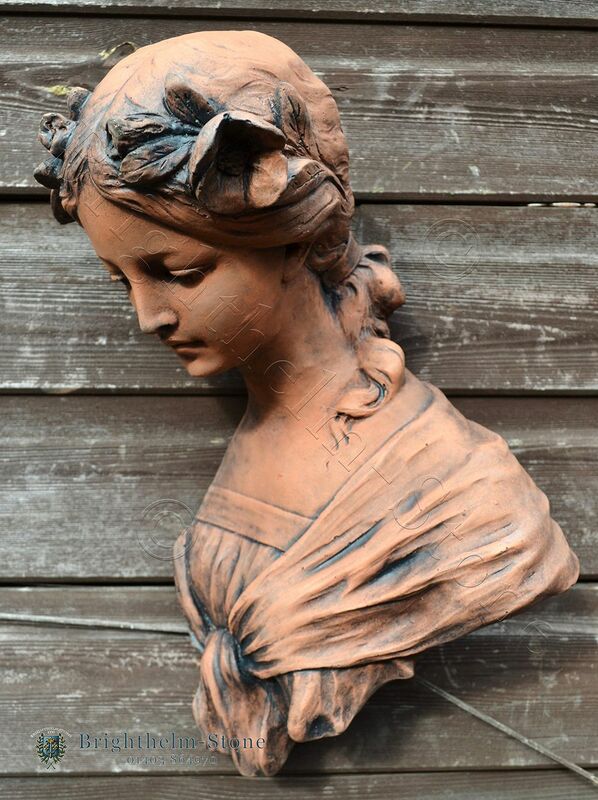 Female art nouveau wall plaque bust fragment "Josephine"
Dear Brighthelm Stone, I had been looking for some LARGE green men as we have several old oak trees in our garden, one is over 250 years old and is of great sentimental value to us and the wildlife it attracts. 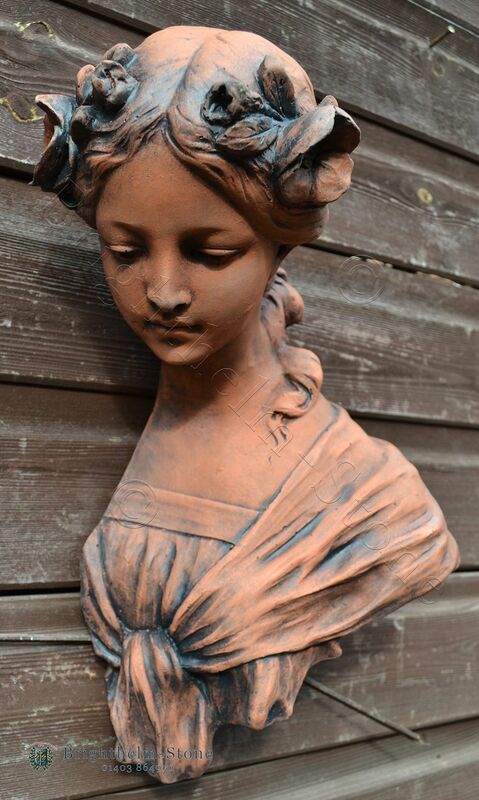 I ordered both a large treebeard and the oak king green man as well as a josephine plaque for a feature through a garden arch. 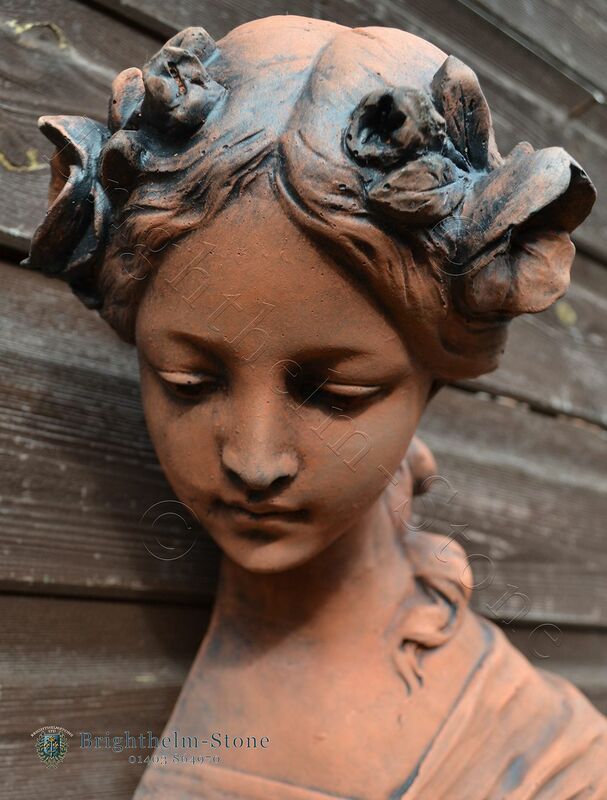 Thank you very much for an efficient service, extremely well-packed and well-made items for very reasonable prices - really fabulous additions to my much-loved garden - I have recommended your company to other 'green man lovers'!